Is this a repress? why sound different from original? I heard that the repress is use the same master source as original press, right? With Trish passing away, I highly doubt they're going to reissue any of the Broadcast catalog. Keep dreaming. This album is a magical tome, defined by sonic emotion and collaborative efforts. 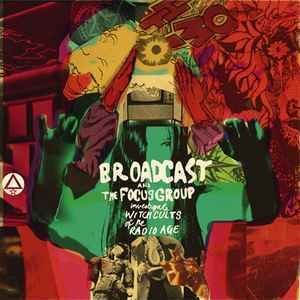 A great and final "Broadcast" lp, that will stand the tests of the unchanging window. Couldn't agree more! I love Broadcast and Boards of Canada, but I can't afford over $100 per record fer chrisakes! Is there a brain at WARP ? Because it's the same situation with Bords of Canada LPs... When 4AD saw the ridiculous second hand prices reached by Scott Walker's Drift original 2xLP, they DID a reissue ! What is WARP waiting for exactly ?